Yemi has been steadily combining her music tour with music production. It hasn’t been up to 10 days since she released her video for “Issokay”, and she already has a spanking new video for “Oh My Gosh”. As you’d expect, “Oh My Gosh”, which is produced by DJ Coublon, is filled with a lot of dancing and drama. The Ovie-Etseyatse-directed video actively begins when a black Bentley and Rolls Royce are delivered to her doorstep by a melodramatic deliveryman. Yemi becomes super excited, and then begins a pantomime with her girls as the video progresses to show them dancing in front of the two cars before leaving with the Rolls Royce to party outdoor at night. Yemi gets caught by the police for driving without her license, but ultimately the video ends with she and her goons happily dancing. 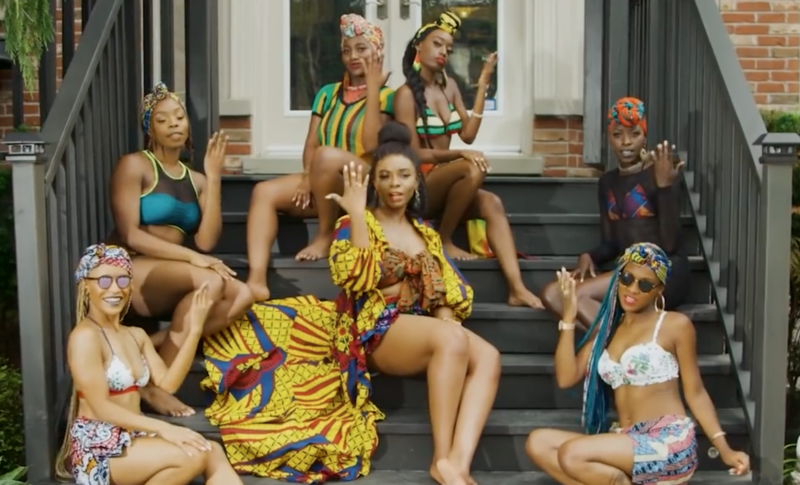 Watch the video for Yemi Alade’s “Oh My Gosh”, released under the record label, Effyzie Music.